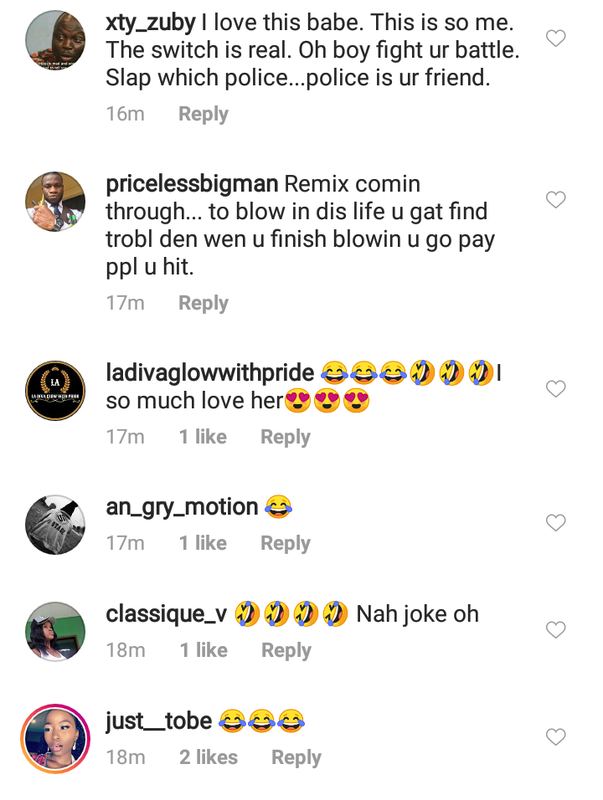 According to a video posted online by popular singer, Teniola Apata, she was stopped by the police and they confronted her for one of the lyrics in her song, Case, concerning the police. 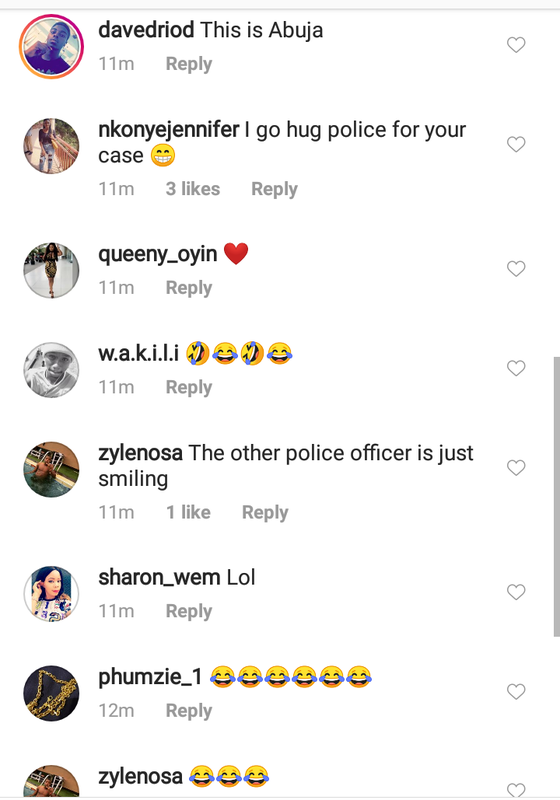 Meanwhile Teni said she said that jokingly that what she meant was I will hug police for your case. 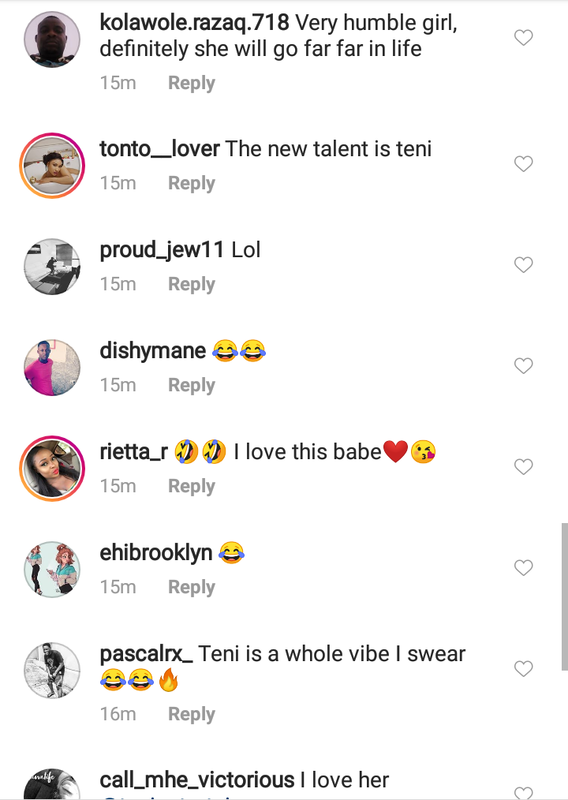 Teni captioned the video with, I change am ohh!!!!!!  I hug police for Your Case!! Warri way”.